Size: 25,000 sq. ft. (Remodeled portion of existing building). 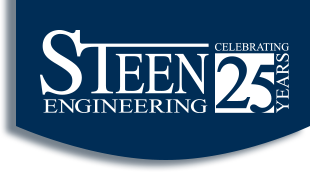 Steen was tasked with improving air quality, modernizing HVAC controls, reducing mechanical system sound levels and upgrading mechanical systems along with upgrading lighting throughout Zion Lutheran Church. 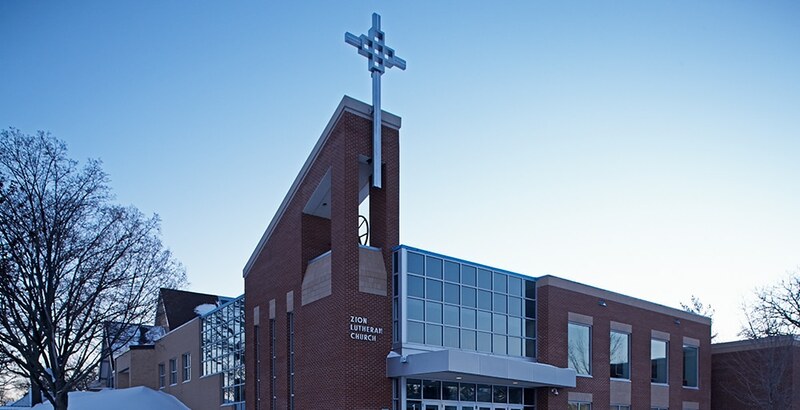 This was accomplished by providing new air handling units, redesigning temperature controls, replacing lights with more efficient fixtures and installing a new theatrical dimming system for the main worship space. 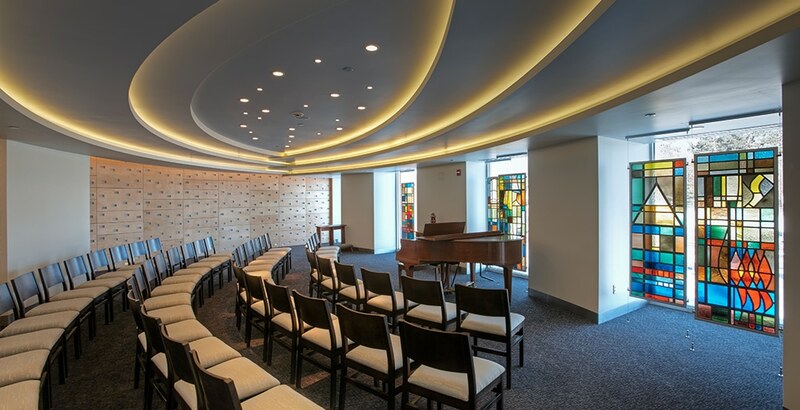 The new chapel was illuminated using LED tape lighting assemblies mounted in multi-tiered coves, with an array of small aperture LED recessed down lights located in the center of the ceiling to create a night sky effect. All lighting was multi-zoned and dimmable. 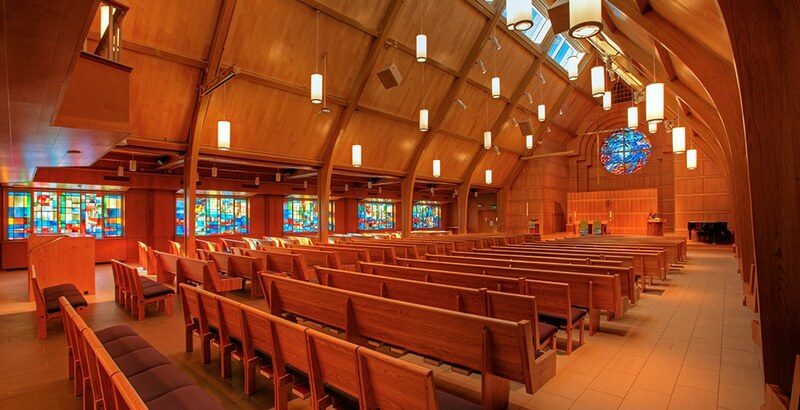 In the main worship space, existing fixtures were replaced with pendent mounted cylinder fixtures containing quartz lamps for down lighting and vertical biax fluorescent lamps for indirect up-lighting. 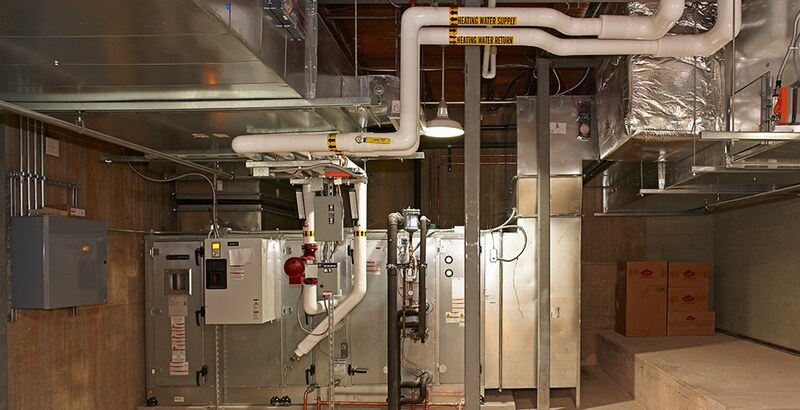 Two new air handling units were designed to serve the main worship space and the lower level fellowship hall, providing independent temperature and ventilation control for these spaces, which often have different occupancy loads and schedules. These air handlers included single-zone VAV air distribution, economizer cooling capability and demand controlled ventilation. Throughout the sanctuary worship space and the fellowship hall, existing HVAC ductwork, registers and grilles were reused wherever possible in order to minimize disruption and preserve original finishes. In addition, the main return air grille in the sanctuary was redesigned to limit air velocity and significantly reduce noise.